The international code is for the United Arab Emirates. I dial the thirteen-digit number I’ve been handed and wait for a response. In a hotel lobby, some 4,000 miles away, an English-speaking receptionist connects me to Roy Keane’s room. What is it, I ask him, about footballers and Dubai? Can’t you guys take your holidays anyplace else? The former Manchester United captain sounds relaxed and in good humour. “I’m working here,” he jokes. “Trying to find some new Irish lads, you know yourself.” The Republic of Ireland assistant manager has assumed his post at time when morale amongst supporters of the national team is at an all time low. The biggest names in the Irish side that performed so abjectly at Euro 2012 were all veterans of Keane’s own playing days. And the new talent coming through to replace them has, so far, mostly failed to make an impact. 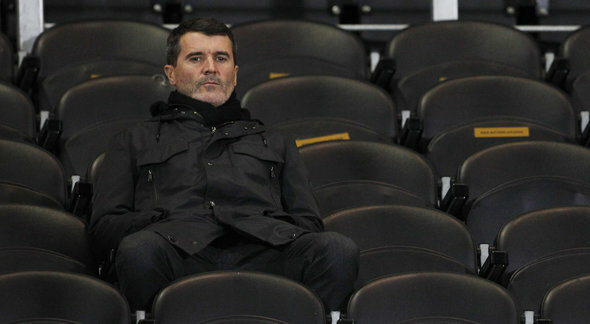 Is Keano like the rest of us, I wonder? Whenever a player named Jon Flanagan, say, or Connor Wickham impresses in the Premier League, does he immediately rush to Wikipedia to check on their eligibility? REWIND THREE YEARS to January 2011. Roy Keane had just been sacked as manager at Ipswich Town. For the first time in his adult life, the Corkman found himself out of a job in football for a prolonged period. How did a man so immersed in the claustrophobic world of professional sport readjust to civilian life? Sir Alex Ferguson’s recent autobiography included a chapter titled Outside Interests. It was mostly about wine, horses and bloodthirsty historical tyrants he has striven to emulate. (Keane laughs, but refuses to take the bait.) What might a similarly titled chapter of his own memoir document? It’s a joke, obviously. But he isn’t laughing. Even in an industry as volatile as football, Keane’s appointment to the Ireland set-up last November confounded most observers. The Corkman’s antipathy toward the FAI had been public knowledge for most of two decades. Indeed he and the association’s chief executive had traded media barbs as recently as last summer. Was it wishful thinking, some wondered, to expect that a man once accused of stepping on the toes of Sir Alex Ferguson as manager of Manchester United, would not also soon exceed his brief as number two to Martin O’Neill? Wasn’t his appointment, I put it to him, simply a tawdry marriage of convenience between a wounded hero, desperate for a route back into the game, and a profit-hungry FAI keen to reap the commercial benefits to be gained from plastering his face all over their match day merchandise? OF ALL THE UNLIKELY TWISTS AND TURNS Keane’s post-playing career has taken, his current sideline as big match analyst for ITV sport has perhaps proven most fascinating to observe. For years Keane had derided football punditry, saying he would consider a TV job only “if I fall on hard times.” But since performing a volte face on the issue, he has proven a revelation in the role. Of course, the public never expected Keane to spout banalities, like Jamie Redknapp or Michael Owen. Keano the pundit was always going to be a controversial proposition. But what surprised many was the quality of his analysis. Keane never courts controversy for its own sake, as Joe Brolly often seems to do. Nor does he ceaselessly contradict himself, from commercial break to commercial break, as is Eamon Dunphy’s wont. As a big match analyst he is thoughtful, dispassionate and brutally on-the-money. “There’d always been offers and I’d always said no. But I was offered the Champions League final between United and Barcelona. It was at Wembley. I really wanted to see the match and I didn’t want to be bothering anyone for tickets. THE IRISH PUBLIC HAVE A SET image of Roy Keane as an intense, highly strung individual. But once every spring, at his annual photocall for Irish Guide Dogs for the Blind’s SHADES campaign, they have gotten to see a softer side to his personality: intense, highly strung and standing next to a puppy. I can’t help mulling over whether the public’s own vision is impaired, at least when it comes to evaluating their own greatest living sportsman. Ever close to his Mayfield roots, Keane has always remained grounded, even as books and musicals were being written in his honour. But chatting to him today, I’ve heard much to suggest that, in middle age, Roy Keane is a funny, self self-aware and – dare I say – pretty likeable human being. Would he change the public’s one dimensional image if he could, I ask? Or is he happy enough to leave them with the caricature? For a moment, I fear the line has dropped. “That’s not a bad question,” he finally admits. He considers his answer. “I always had a certain public image. The media played a part in that, but I’m sure I did too”. I mention Keane & Viera: Best of Enemies, a recent, excellent ITV4 documentary that made a generation of men sigh with nostalgia for an era that has scarcely passed. In a vintage display of petulance on the programme, less than a month after Ferguson’s book was published, Keane selected Brian Clough as the greatest manager he ever played for. He also chose a greatest XI from among his former Utd teammates that included several players (Jaap Stam, Paul Ince, David Beckham and Ruud van Nistelrooy) who had fallen out with Ferguson, but pointedly excluded others (Gary Neville, Ryan Giggs and, most astoundingly, Paul Scholes) who remain close to the former boss. But it was brilliant, I exclaim! I had intended to ask Keane if there is really any point continuing to pursue a feud with a 72-year-old man with whom he had shared so much success. As an admirer of both men, I really hope I have just received my answer. Support SHADES 26th April – 2nd May. Buy a puppy pin, volunteer or text Woof to 57500 to donate €2.50*. T&c apply www.guidedogs.ie . My music, no more than my moods, can be a little bit all over the place. Everything from Bob Dylan to Lionel Richie. I’ve seen the Rolling Stones in concert four or five times. Other than sport? I can’t get into those box sets, no. Not a million years. People had been brainwashing me for ages, saying I had to watch 24. So I went out and bought all these DVDs. I don’t think I opened one of them. I don’t have the discipline for it. Ah sure listen, I’m from Cork. I’d eat anything. I watch a lot of rugby league. Also rugby, boxing, even the odd bit of golf – although I don’t play golf. I always get back to watch a bit of hurling in the summer. Then there’s American football, baseball. The only one I don’t have any time for is horse racing. Which, I suppose, may not be such a bad thing. Article inspired this Gift Grub sketch by Mario Rosenstock 01/05/2014.